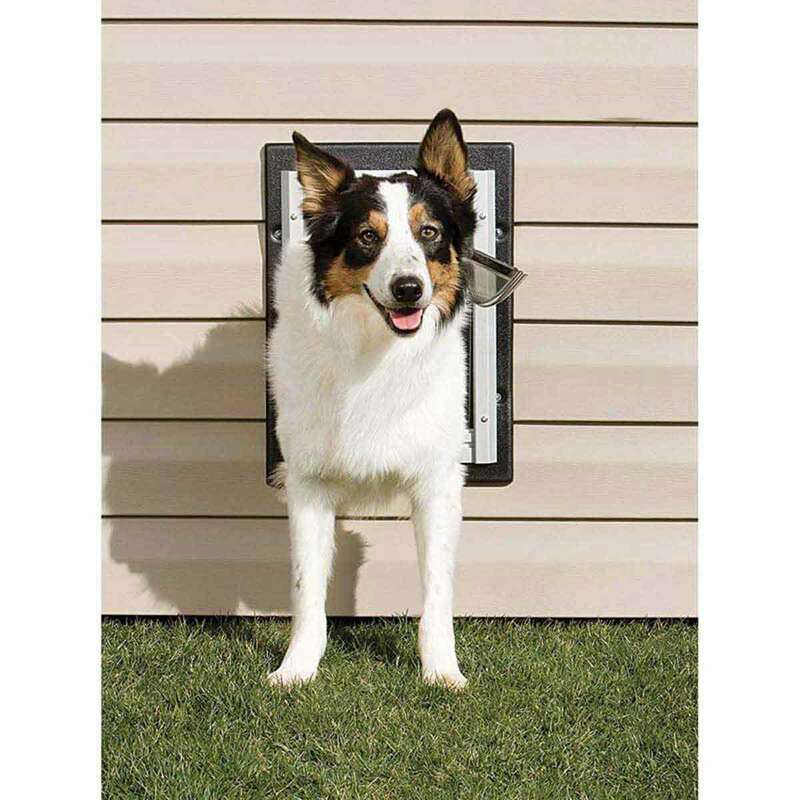 Pet Safe Wall Entry Pet Door Medium 8" X 11"
Telescoping tunnel to accommodate both 2 x 4 and 2 x 6 construction. 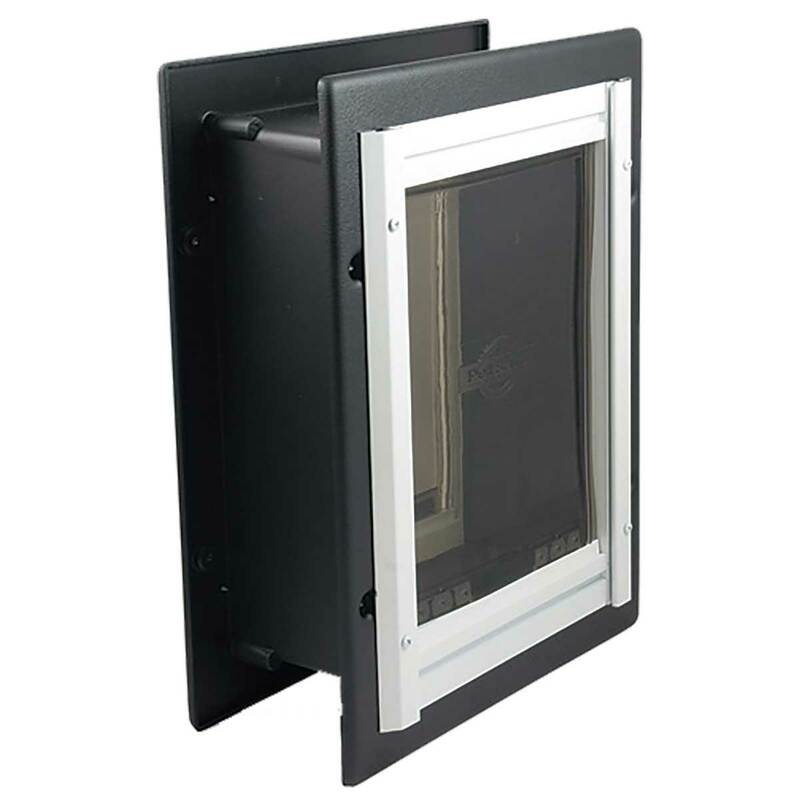 Double flap construction ensures excellent insulation factor. Size: Medium, for dogs up to 40 lbs.